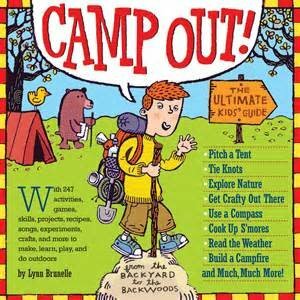 Great tips for kids on camping, including kid-friendly recipes, games and more! Whether you're planning an over night in the backyard or a weekend in the wilderness, this book is packed with stuff to know. The basics, from gearing up to choosing a site to building a tarp tent. Tasty outdoor recipes: Solar Oven Pizza, Chow Down Chili and s' more's of course.